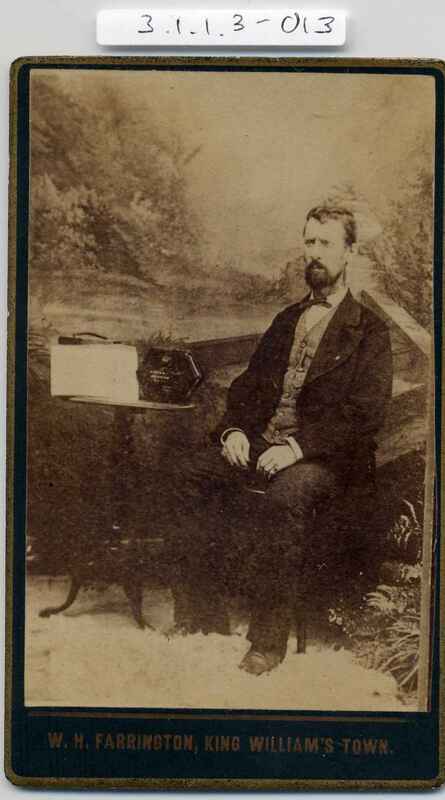 Full Description: A small well-labelled carte-de-visite of a moustachioed gent seated next to a table bearing a 48-Key English concertina, with a paper sheet (music?) leaning against the concertina case. 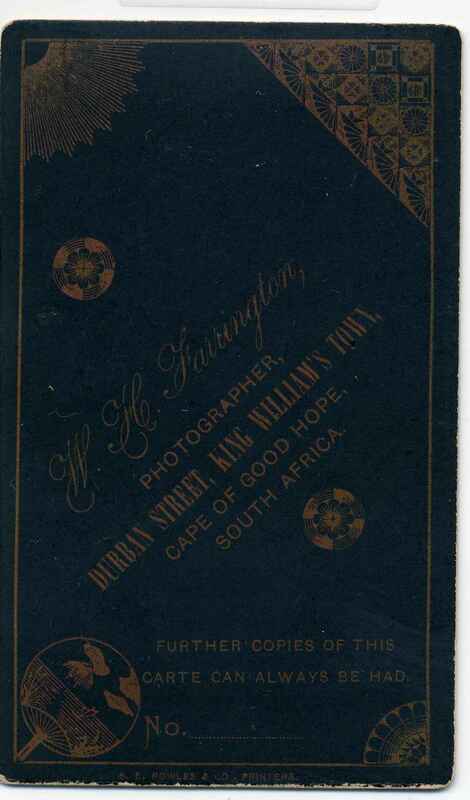 Embossed beneath is"W H Farrington, King William's Town" - a district of Cape Town, South Africa. The rear is a large gilt photographer's advert. 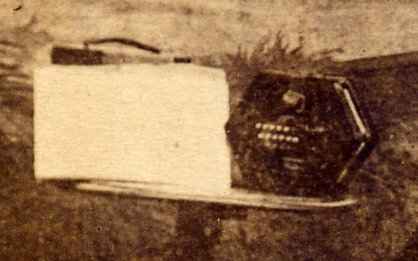 62 x 104mm.